Delamere Forest senior star Dave Heaton has retired from being the Cheshire Seniors Captain after nine memorable, successful and happy years. Dave said: “I played in my first David Marsh Seniors event in September 2009 and happened to be partnered with a certain Roger Fielding from Ringway Golf Club. “Roger and I got on well and he asked me if I would like to 'help' him with the County Seniors side and it seemed like an attractive proposition so I accepted the invitation. “I actually started the next season as Captain! “In the nine-year period, I have been Captain for c45 Northern League matches, c50 Friendlies, nine Senior Qualifying events (The Big 6), an English County Seniors Finals and organised nine Pre-Season events. 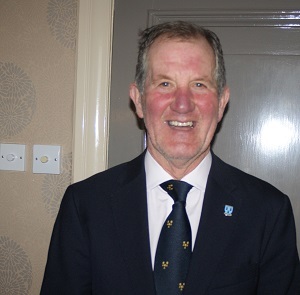 “I feel privileged to have met and played with c80+ Cheshire County Seniors and worked with nine County Presidents who have all been immensely supportive. “The performance highlights, amongst many, must be Cheshire representing the Northern Region in the English Seniors County Finals at Ferndown, winning the Northern League in 2015 and coming second in the Seniors Qualifier (Big 6) in 2011, 2012, 2014 and joint second in 2018 at Delamere Forest (when, truth be known, we should have won!). “I am grateful to have the opportunity to be County Seniors Captain and it is a role I have enjoyed enormously. “I am indebted to many people who have helped me along the way but I want to thank in particular, Roger Fielding, George Payne, Roy Smethurst, Bob Walker, Ron Harrison and latterly Chris Mitchelson.